Doug Sandler has just completed a book called “Nice Guys Finish First” and quite candidly, Doug is a nice guy. He writes about why nice guys finish first. And he is not confining this topic to men. Doug has over 30 years of business experience as an entrepreneur and a leader. His book “Nice Guys Finish First” was a number one ranked Amazon Best Seller. He also has a podcast show in which he’s interviewed Arianna Huffington from the Huffington Post, Dan Harris from Good Morning America, Ron Klein of the White House Chief of Staff and dozens of other celebrities. What being hired for an event in New Orleans all expenses paid taught Doug. Why you should listen to your clients. Invest time, energy and resources in understanding what their problems are. How to stop telling everybody how much you know and start listening to the things that are going on in their life. Why customers need to depend on you time and time again to deliver the information in a consistent manner whatever that is. Why it is; why it is important is for you to be able to exceed expectations every step along the way and why this leads to nice guys finishing first. Why the the term “It’s not personal, it’s just business”, is never just business. Why we should not accept below average as the norm and satisfactory as exceeding expectations. Doug explains the science of his “Nice Guy 30 Program”. 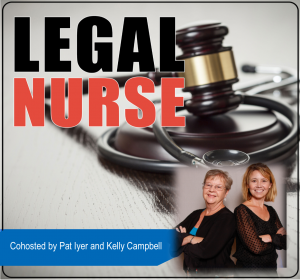 You’ve worked hard to become a legal nurse consultant and you want to retain clients. You’ve been looked up to and respected as a nurse. Now you feel less than knowledgeable as you are drawn into the world of attorneys. Business is not your first language, patient care is. You were clinically trained, not educated in business. You want to make this change in career successful. You want to develop a stronger client attraction and retention program. Discover how to retain clients with Exquisite Client Care Strategies™. Your ability to be confident, certain and in control when you attract and retain clients is easier with the power of Exquisite Client Care™ strategies. These techniques give you a higher level of distinction in your business and deepen integrity-based relationships that grow your business. is a 90 minute video online training. Doug Sandler specializes in teaching others the “how-to’s” of building relationships and strengthening connections. Doug is a nationally recognized speaker and writer. His weekly posts reach hundreds of thousands of readers. Doug has been titled by a leading social media marketing company in the top 100 of Social Media Thought Influencers to follow.